Recently, RFcnn.com, a well-known RF connector manufacturer, has announced its new selection of MMCX PCB RF connectors. Recently, RFcnn.com, a well-known RF connector manufacturer, has announced its new selection of MMCX PCB RF connectors. All the MMCX RF connectors are now provided at discounted prices at the company’s online shop. According to a senior spokesman of the company, the special offer will be valid until Oct. 30, 2013. “As a pioneer in the connector industry, we understand that quality products and excellent service are the most important things for a company in the long term. To meet different needs and requirements, we are planning to accept OEM orders,” he adds. Having been specializing in the industry for many years, RFcnn.com now can offer various kinds of connectors in a large number. It has strict quality control. All connectors provided by the company are functional and useful. As a result, it has now gained a great reputation in the market. A lot of customers are pleased with both its products and service. RFcnn.com is an online company of Zhenjiang Fourstar Electronics Co. LTD, which is a China based company that aims to provide customers high quality products at the lowest possible prices. Customers can try the company’s products through sample orders with a long-term contract. Most the customers will come back soon after their first deals. 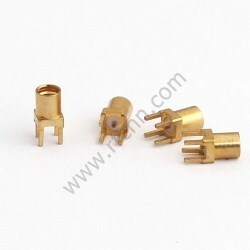 More details about the company’s high quality connectors can be found at: http://www.rfcnn.com/MMCX-Female-for-PCB-RF-Connector-98.html.